If you don’t take alcohol like me and when you are at parties all you have is Mojhito Or juice based mocktails which are loaded with sugar and calories. And if you are looking for low calorie stuff all you have is diet cokes of the world. So while I have a mocktail in hand all I crave for is some spicy food to combat the sweet drinks rather sugary stuff that I am sipping on. I have tried a drink called Chilli Mojhito at Laat Sahab in Garden Galleria noida and it had green chillies in it, so I quite liked it. Back then I never thought there would be a non alcoholic bottled drink that would have chilli’s in it. 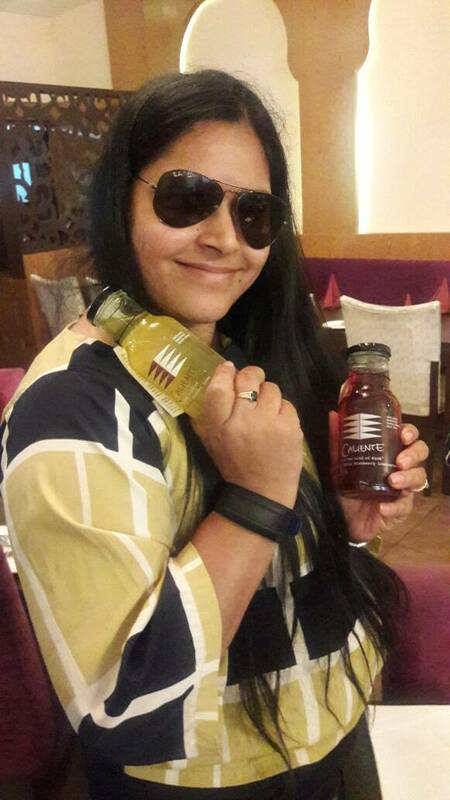 A blogger and Author friend was working on a project of launching a drink in India and he mentioned to me that this drink has a very different taste & some uniqueness in ingredients.And I was like, every other day there are so many drinks making there way to India what is going to be so special about this one. Well the response was wait and watch. ​After having a successfull stint in Norway & Denmark the Drink with Chilli comes to India. 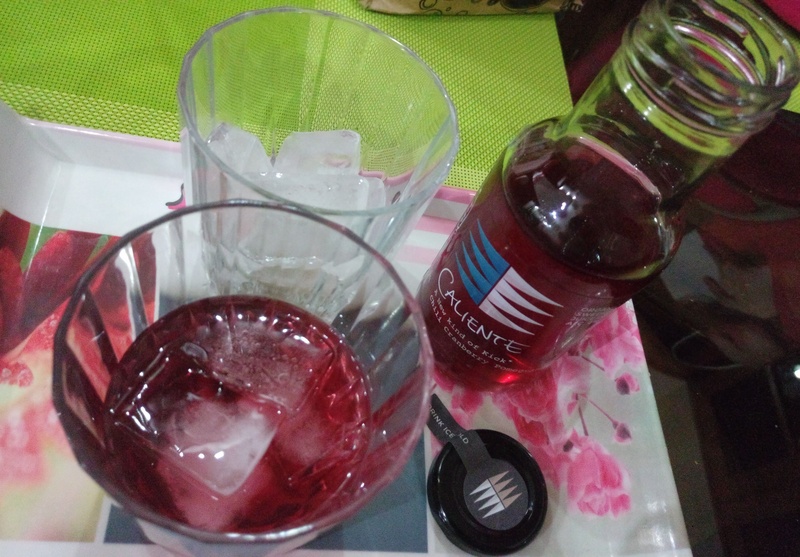 And the Name is Caliente and this drink is launched by Uma Ekologisk and Trade LLP in India. It’s a delight when blogger friends really ensure that we get to taste and review the product. So as he got hold of the first samples we got the opportunity to taste this much talked of beverage. There were 2 flavours that we got to explore Chilli Lime & chilli Cranberry pomegranate in sparkling lime and red color with a lovely glass bottle with a tag that explained a lot about the entire range. The Bottles came with a disclaimer that they taste best when served chilled Or ice. I was super happy to see the non alcoholic drink and it came with a promise to make you high. As a person who doesn’t drink is always wondering what’s like being high like. Though as person I am always high on life. 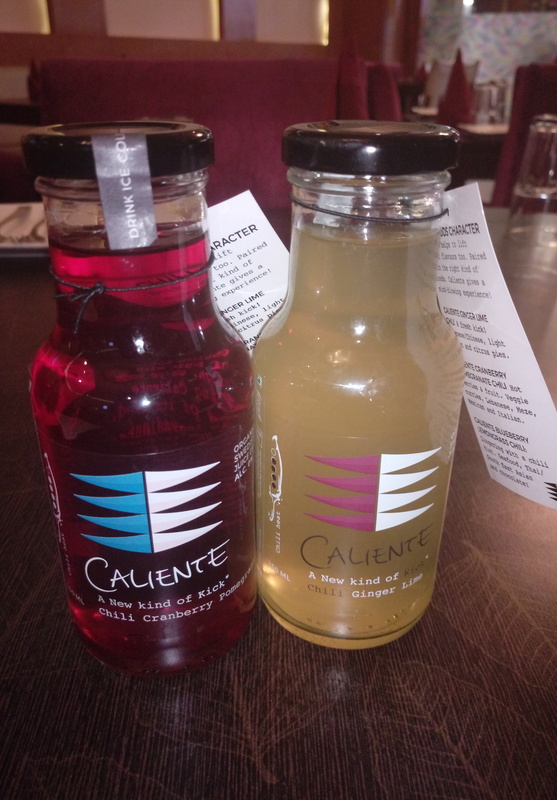 Caliente is a new kind of drink, in which alcohol has been replaced with chili heat. The ingredient which makes chilies hot – capsaicin – also triggers the release of endorphins, creating a natural high. Crafted in Sweden from organic ingredients, it’s the ultimate choice for people who are after a complex non-alcoholic drink that’s low on sugar. I am sure this comes with a good news for all the people who stay away from alcohol in front of their parents or family , they can now safely consume it at home. In case of dry days this can be a backup to them. And also for the states that have ‘dry days’ this can be a savior.Seven Indian states has prohibited sales of alcohol, including Gujarat where a Caliente launch is planned for summer 2017. 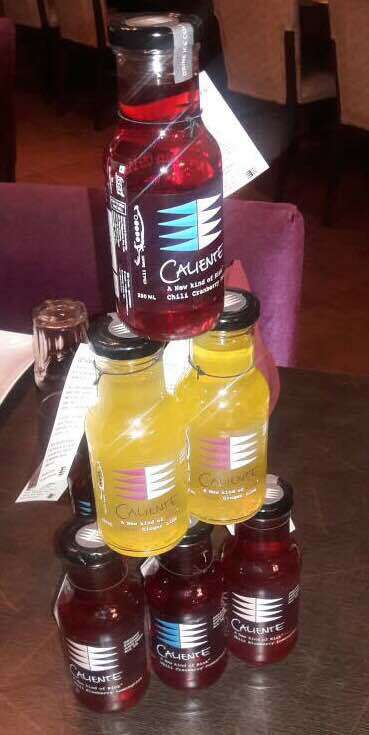 Caliente is one of few organic non-alcoholic beverages sold at a premium price and to be consumed at adult drinking occasions. Most Indians relate ‘premium’ to alcoholic drinks, meaning that Caliente’s exclusivity and price need to be explained and exploited. So when do you get to have this, well answer is pretty soon. I got my first bottle, you ll have it too sooner than you imagine. The first bottles will be found in premium retailers and high-end restaurants in New Delhi, Mumbai and Bangalore this month. After another 2-3 months, a second phase includes Chennai, Hyderabad, Chandigarh, Goa and Ahmedabad. So go and grab yours when you spot it in a store near you or the bar of your choice. This is amazing! Is it launching all over India?